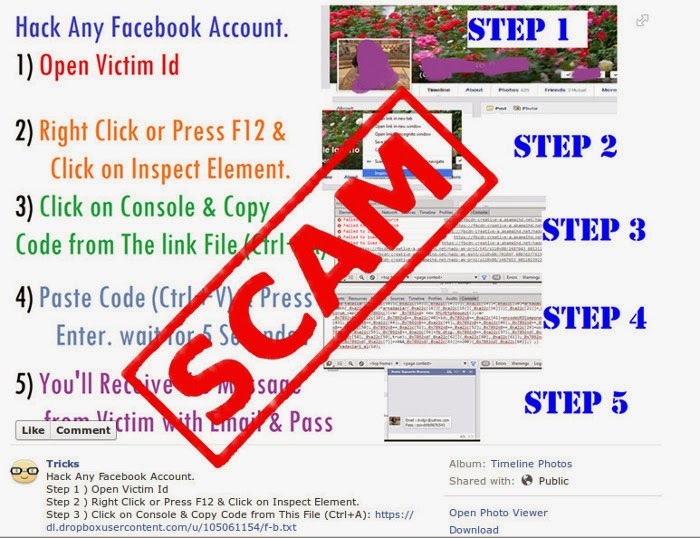 Facebook Scams: "Hacking any Facebook Account", "Facebook Music Theme"
A new facebook scam which is claimed to be a script to "Hack any Facebook account" is spreading like Wildfire. Recently, i also came across a facebook scam post that promise a "Facebook Music Theme". I've been tagged in the spam posts by more than 20 friends within a week. The post has a link to a script file which is randomly hosted in dropbox, pastebin, textuploader and other file hosting services. 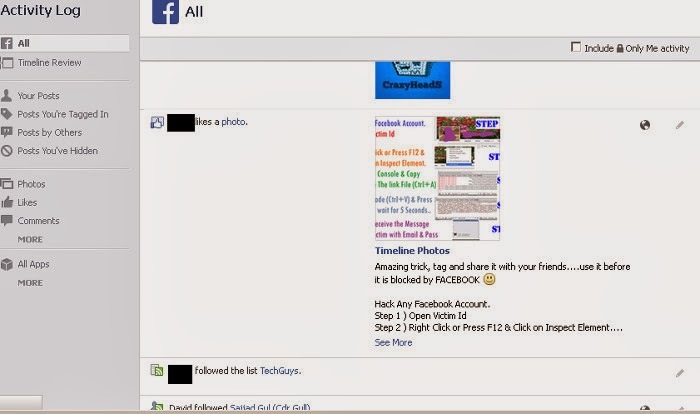 The post tricks users into thinking that it is a script to hack any facebook accounts. It urge users to use it before it is getting blocked by facebook. It asks them to copy the script and paste in the "console" section of the "inspect element" option in your browser. It claims you will get username and password once you done the process. When you execute paste the code in the console section, it will run the code on behalf you. So, it will send several requests including "Like" & "comment" request". 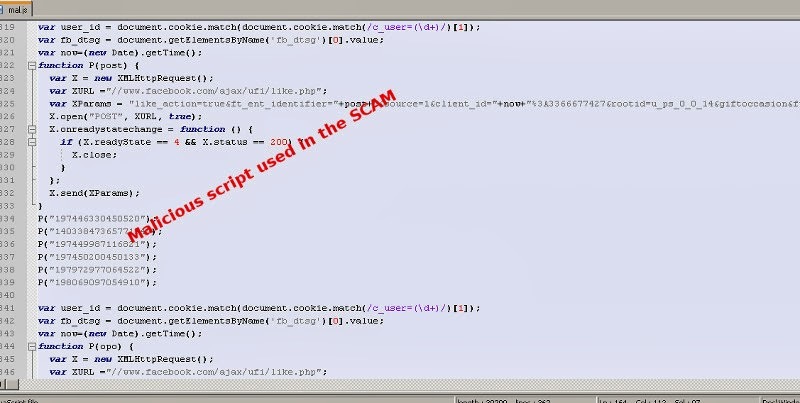 It means that you are unknowingly "liked" and "commented" on the scammer's pages. It also tag all of your friends in a comment so that it can spread the scam further and get more victims. I can't believe that there are still plenty of people out there who still believe some stupid scripts can hack accounts. Are you one of the victim who followed the stupid instructions? No need to panic. As far as i know, the script only "likes"& "comments" on behalf you. So, you can simply go to "Activity" log page in your account and unlike & uncomment them. If you are reading this article, make sure you are not doing the same mistake again.